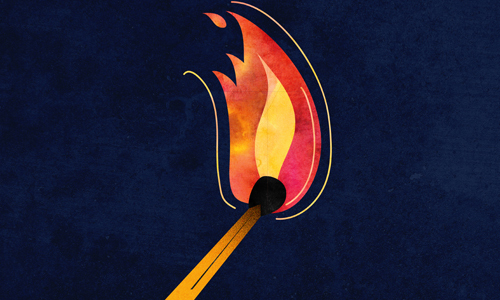 You'll need: a candle (to illuminate the hard-to-reach nooks and crannies), a feather (to sweep up the small crumbs), a wooden spoon (to hold the chametz and facilitate its burning), and a paper bag (to hold all of the above). By this time, the house should be completely cleaned for Passover; hopefully there's no chametz to be found. It is therefore customary to prepare ten carefully wrapped pieces of bread to be hidden throughout the house for the searcher to find (the kids love this part! ), in order that we can fulfill the mitzvah of searching out and destroying our chametz before Passover. Blessed are You, L-rd our G‑d, King of the universe, who has sanctified us by His commandments, and has commanded us concerning the removal of chametz. All leaven and anything leavened that is in my possession, which I have neither seen nor removed, and about which I am unaware, shall be considered nullified and ownerless as the dust of the earth. Thank you so much for your writings. You have taught me some new things I have not heard before. I am not jewish but many of my friends are. I am always so interested in your religion. Judaism makes so much sense to me and I have felt it in my soul for 45 yrs. Peace and love to you . If you can't find the pieces, then you check again. If you have exhaustively searched the house and you cant find them, you can rely on the nullification process alone. Since you checked, you can assume that they were removed.